Now your watch can be brooding - just like your favorite superhero! This Batman Black Logo Rubber Strap Watch features the classic bat logo of DC Comics' Caped Crusader. 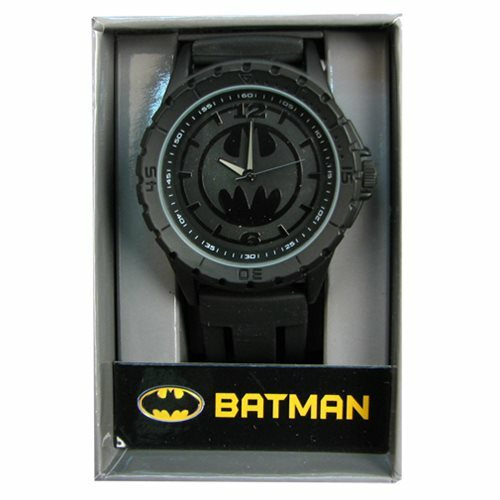 Outfitted with a nifty black rubber strap, this bad boy is a must-have for fans of Batman! Watch face measures approximately 1 7/8-inches in diameter.